Maintaining a whole payroll structure is in itself is a labour-some task for the HR professionals and when it comes to keeping a track on employee’s additional leaves, which is subjected to LOP (loss of pay) category, it becomes a troublesome task for the HR Department. In such scenarios, the possibility of an error arises while maintaining the payroll structure. To make the whole process error-free institution needs automated & reliable school management software which will not only automate the loss of pay calculate but also keep a real-time track on individual leaves. That’s why we have come across a lot of the additional leave settings that was requested by various institutions worldwide. 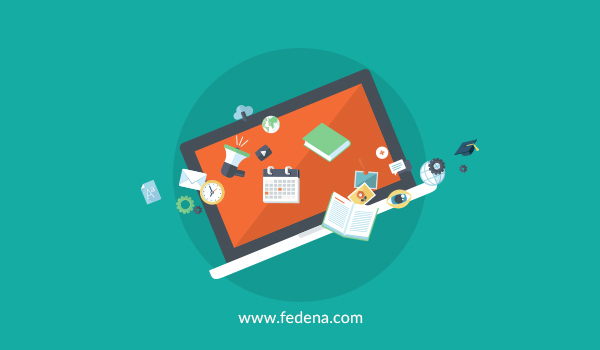 Fedena allows an institution to manage the additional leave that has been taken by an employee monthly. 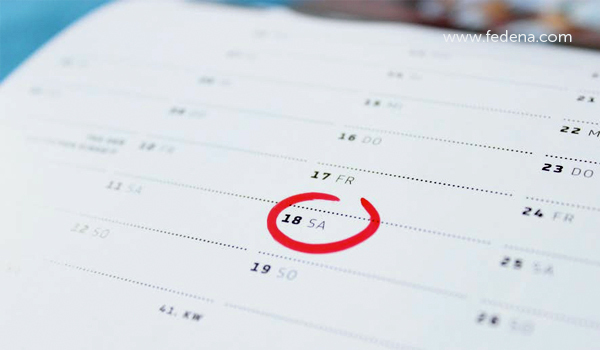 The total working days of the month in HR > HR Settings > Working Day Settings. Adding the leave types and setting up the leave count under HR > HR Settings > Leave Types. Creating a leaving group and adding the leave types according to the departments under HR > HR Settings > Leave Groups. 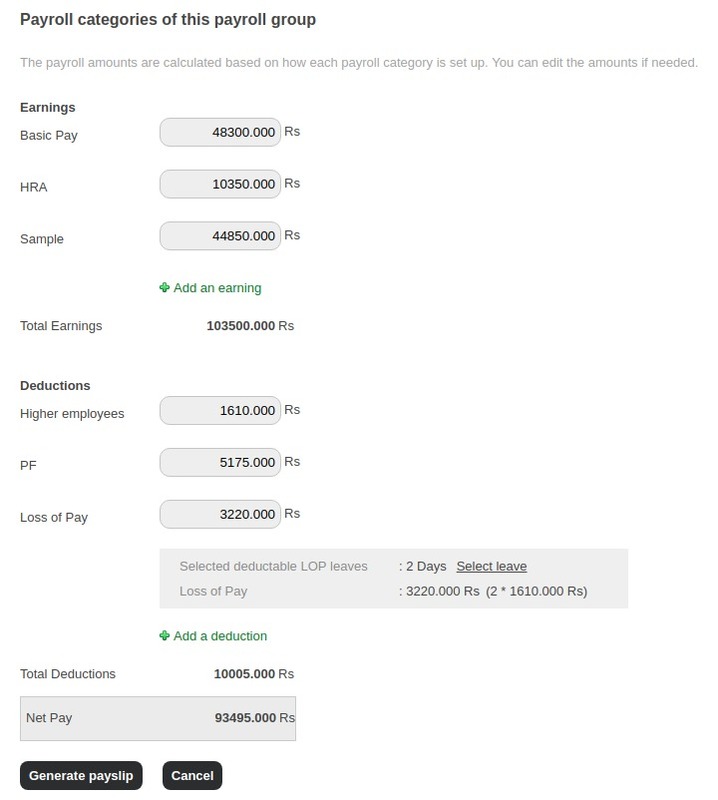 Creating the payroll categories using the option HR > Payroll and Payslip Management > Payroll Categories. Associating the payroll categories with a payroll group and then entering LOP settings for the payroll group. This can be done under HR > Payroll and Payslip Management > Payroll Groups and HR > Payroll and Payslip Management > Payroll Groups > LOP settings. Once all the above settings are done, then it is all good to go. Consider an example where an employee is allotted have 10 casual leaves for a quarter. 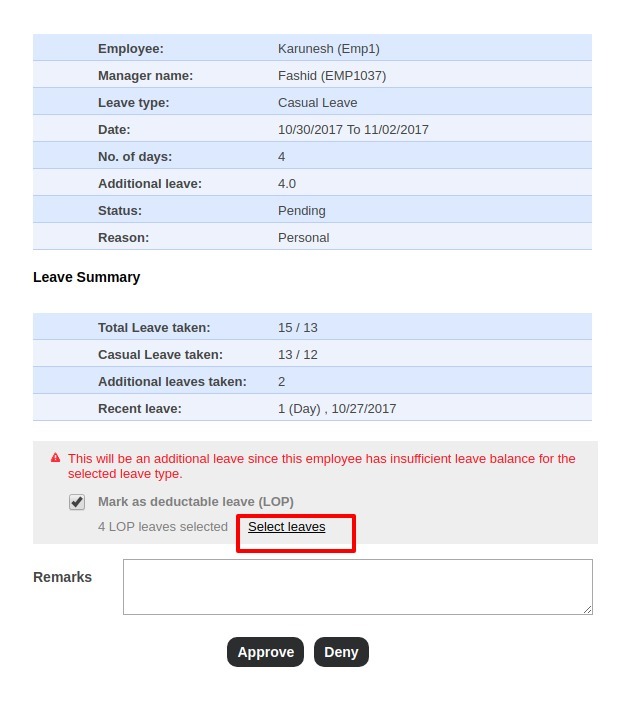 Now, the employee has applied for an additional leave and when the admin is marking the leave in the employee register, a pop-up will be shown indicating that its an additional leave for employee and also provide the admin to mark it as LOP as below image represents. 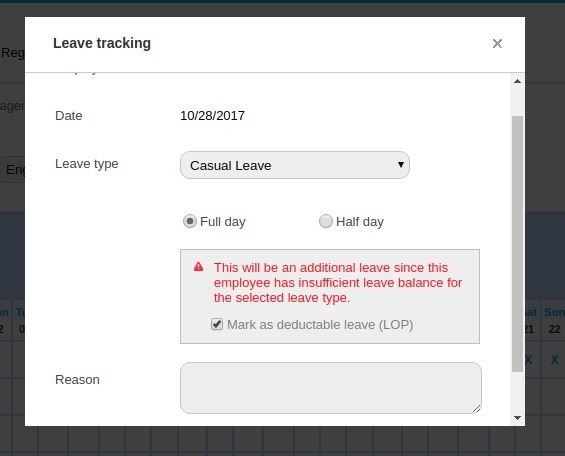 In other cases, when an employee applies for 5 consecutive leaves in which two are for a medical reason, his/her manager gets an option to select the days for which the LOP can be marked as mentioned in the below image. The introduction of marking additional leaves and direct deduction of amount from the payslip automatically has helped the school finance team to avoid manual calculation. The payslip will be automatically generated based on the leaves the employee has taken like below. Many schools have reaped innumerable benefits of Fedena with features like the above. To get these benefits to apply to your school, quickly connect with us for the Fedena implementation as soon as possible. 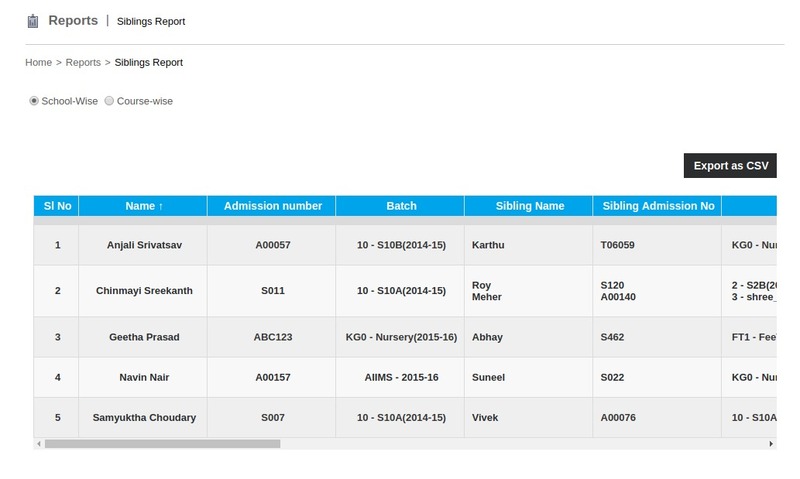 The latest release of Fedena, Triton is not only limited to most awaited grade book feature but also include various other cool features which will simplify your institution operations. It is an exclusive release for a list of features which has been requested by customers to provide in an existing school management software. We have been working with different schools across the world to simplify the features we receive and deliver you the best options to manage our requirements. Here are our highlights of some of the need-to-know or cool features which we brought in Triton. Yeah, you’ve been asking for this for a while. It’s just a click at your end from the user’s profile to revert back the archived employee. Now, it’s just as easy to restore something as it is to delete it. By adding this new feature, you can ensure that the sibling association has been done perfectly. The report displays sibling association along with the guardian details which makes it more useful. And the Export CSV option completes the requirement in all sense. Simplicity can be such a beautiful thing. This is especially true where information architecture is concerned. The option to send SMS to fee defaulters in the student fee defaulter report will now make things easier for the finance head to inform the student about their existing due fees details. Implementing these features is also a sign of assurance from team Fedena that, the request we collect from our support desk is always noted and pushed in for releases once our dev cycle loosens up a bit. We can measure the excitement over the release within our customers as well. We are very sure about the fact that features added to our most trusted school management software are going to take the user experience to another level now. We know there are furthermore features which our customers would like to have it in Fedena. You would have noticed that with every release we try our best to include features that can improve the user experience. Our team has been bringing out new features at a heroic pace, all with the objective of enhancing daily business processes of a school. And we’re just getting started. Ultimately, your success is our success.